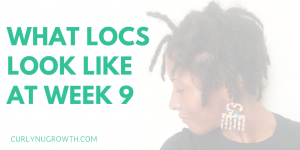 What Do Locs Look Like at 9 Weeks? 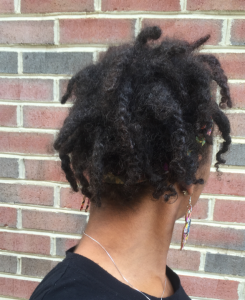 Week 9 with locs looks like unraveling, wild roots and sessions of loc brushing— at least on my new journey. We all know that everyone’s journey is different, but it is amazing to witness the difference on the same head; my head. This week, my hair has been especially wild. As you’ll see in my Week 9 Loc Vlog Update, my hair definitely has a mind of its own and is doing whatever it wants to do. Just like a baby, hence the baby locs stage. Since I’ve been along this process before, I know to accept it for what it is, but I can definitely see how many individuals would be frustrated at this point. 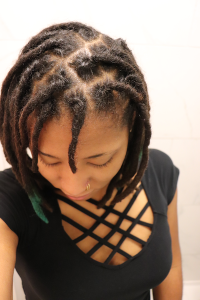 My hair is creeping into other locs, sticking straight up, and endlessly frizzy. “Embrace the journey. You’re beautiful!“— this is what I tell myself. And you can tell me too by clicking the link below (even I need encouragement sometimes). What I’m reminded of as I go through this process again is how shamed I was the first time around. Mainly by family, but also in public. Ignorance can make people very judgmental. Change makes people uncomfortable. But your confidence speaks volumes. 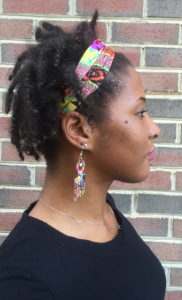 What I learned is that you have to be comfortable in your decision to transition to locs, walk with your head high and crown on, despite a mound of frizz and unruly hair. Your confidence will silence all judgments and the ones that aren’t silenced can’t tell you anything. But the moment you give your control to another person’s ignorance, is the moment you second guess one of the best decision you can make with your textured hair. Even if you’re not feeling confident at this very moment, it is okay, it takes practice. I challenge you to look in the mirror and say out loud “I love you”. Then, take a selfie, looking AND smiling directly at the camera. EVERYDAY. You have to be a witness to your own beauty to allow others to see it as well. And honestly, it is not as bad as you think. Embrace the journey. You’re beautiful! Share some words of encouragement or positive affirmations that you use in the comments below! Thank you for joining the community! You should have the foundation started with the size in mind that you want now, not later. 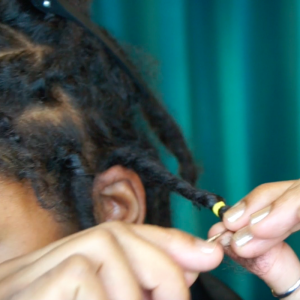 You cannot make locs smaller after they’ve already loc’d without taking them out. 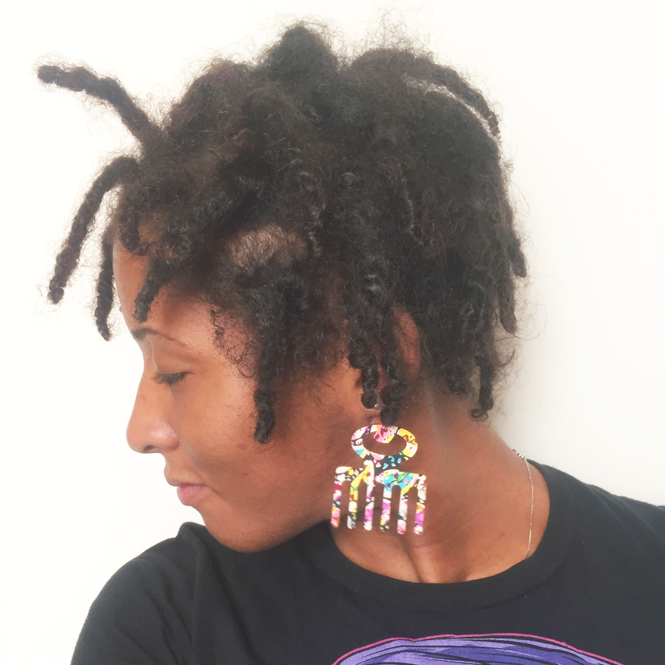 I’m two months into my starter locs and they are frizzy and unraveling, much like your picture above. In this stage should I be trying to twist them ( especially the unravels one) to help them mature or to let them do their thing? So far I’ve been twisting them every two weeks and after about 3 days they are back to being frizzy. I only twist with aloe vera gel because I read from you not to use all those butters. 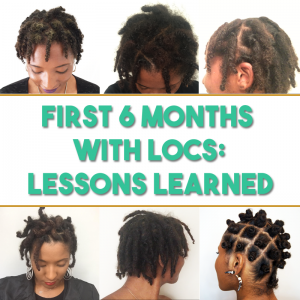 Yes you need to help the locs to cultivate, but every 2 weeks is way too often and will lead to thinning. It sounds to me like your maintenance technique may not be sufficient to hold the loc because after 3 days, even with AVG the hair should not be unraveling. If you’re still experiencing the same issue, feel free to schedule a virtual consultation with me for help.